Whitby RFC returned to action after the Christmas break and made it eight league wins in a row to maintain top spot in the Scarborough League second division. Rugby Club soon scored the first goal of the new year after five minutes when Kilpatrick, doing well out left, beat his man, cutting inside and pulled back for Organ-Simpson to sidefoot home. Scalby were having plenty of possession and piling pressure on looking for an equaliser but were met by stubborn defending and some excellent goalkeeping by Sam Gale, who made with two top class saves. Rugby Club were looking dangerous on the break and could have extended the lead on numerous occasions. The Whitby side landed the sucker punch immediately after the break. A Paul Jobling corner curled right over everyone and found the top left hand corner. Scalby again had plenty possesion searching for a way back and forcing a string of corners, but were caught again at the back. Gale’s kick released Organ-Simpson round the back who kept his cool and slotted past Gregory in the Scalby goal. Scalby pulled a goal back straight away. A direct ball caught Rugby Club out and Gale was off his line; the Scalby forward was quick to take the ball and fire home from the edge of the area. Rugby Club then held firm with great resilience and should have run out comfortable winners, with Kilpatrick missing a sitter and then hitting a post with Gregory pulling off a couple of good saves. Boss Ste Mothersdale hailed the results as a big three points. “The first game back after Christmas is always a bit rusty and with key players missing today, it was going to be a test,” he said. 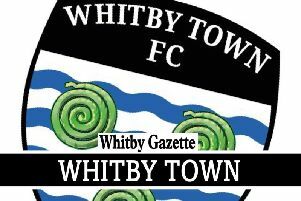 “You can see why Scalby have taken a lot of points this season - they are a useful outfit. “I’ve thought Sam Gale today was excellent in our goal - I’m really pleased for him and his confidence with some great stops, but Harry Smith takes man of the match.